Developed and released in 1991 our original Fab lamp was an immediate success. It won an 'Artist & Industry' award for design and production, retailed at the MoMa gift shop in New York, and Country Road commissioned an exclusive shade and stocked the lamp nationwide. As a flat-pack self-assembled table lamp it was designed to be easily transportable, appealing and suited to a modern lifestyle. Now the Fab 25 lamp is even more so. Machined from aluminium and stainless steel in 3 finishes, it retains the elegant, slimline shape and size and flat-pack gift box of the original lamp. Incorporating the latest technology - an LED lamp, cordless battery power and USB re-charging - the Fab 25 is now totally portable and even more modern and appealing. 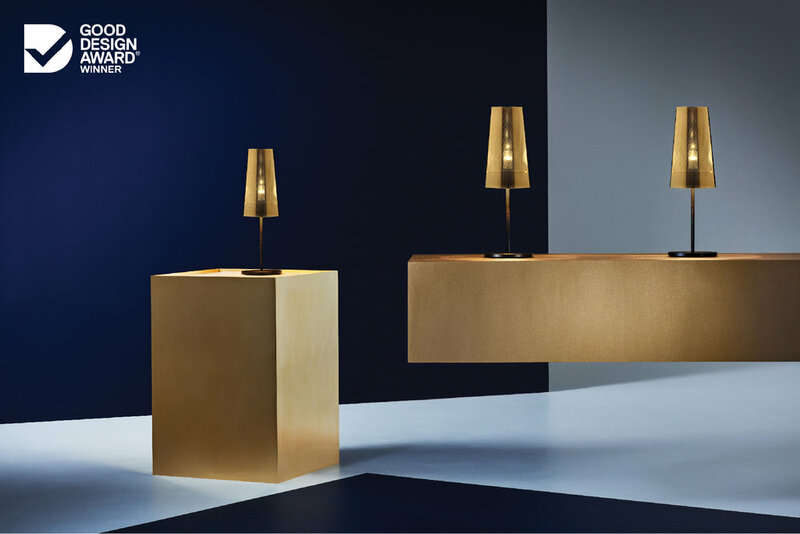 In May 2018 Fab 25 received the prestigious ‘Good Design Award’ in recognition of design excellence in the Product Design - Furniture and Lighting category.